1. Wash chicken parts and heat the skin to get rid of the remaining feather shafts and yellowish layer. In a pot, heat the chicken and vegetables in 8 cups of water on high flame until it boils. Once it boils, lower the flame and let boil slowly for at least 20 minutes. Add salt and pepper before serving. 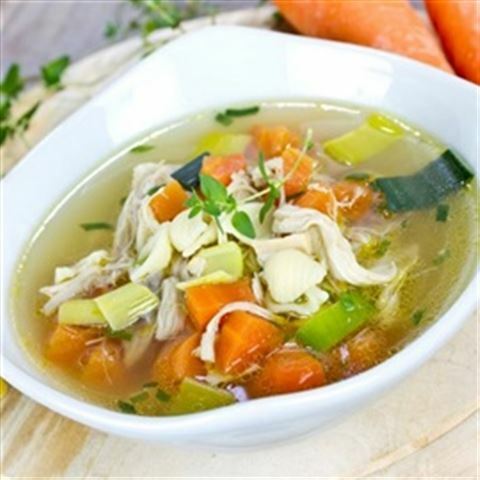 Enjoy this delicious chicken soup Mexican recipe!